Michael C. Hall image via Wikimedia Commons. The iconic El Dorado seems to have retained some of its celebrity cachet despite the decampment of Alec Baldwin and Bruce Willis; the New York Post reports that Michael C. Hall of “Dexter,” “Six Feet Under” and David Bowie’s “Lazarus” fame just snagged a 10th floor apartment at 300 Central Park West. 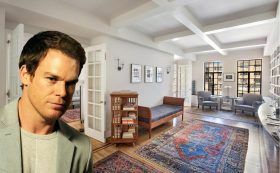 The Golden Globe winner and his wife Morgan paid $4.3 million for a newly-renovated 2,200 square-foot two-bedroom unit in the Emery Roth-designed co-op, according to city records. The Golden Globe-winner also owns a two-bedroom apartment in the pricey Greenwich Lane complex at 160 West 12th Street which was on the rental market last year for $15,000 a month. 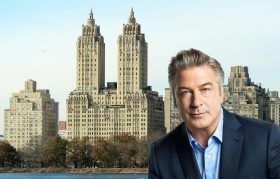 When he’s not channelling his inner Trump, Alec Baldwin spends a good deal of time buying and selling NYC real estate. He and wife Hilaria welcomed their third child in the fall, presumably making their current $12 million three-bedroom home in Greenwich Village’s Devonshire House a bit too small (Alec also owns the unit next door, and as 6sqft reported, he sold another one-bedroom in the building for $2.1 million in 2015). 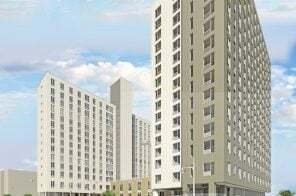 The couple was seen scoping out a couple Nomad-area places this fall, but they may now be ready to make the jump as Alec has unloaded yet another apartment, this time uptown at the Eldorado on Central Park West. The unit was an annex, or perhaps maids quarters, for a larger spread in the building, which Alec sold for $9.5 million in 2011. Six years later, he’s found a buyer for its counterpart, scoring $1.25 million from private equity firm founder and political economist David E. Spiro. 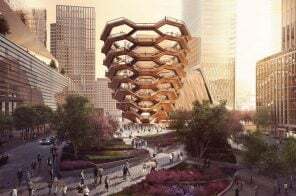 Architecture firm Hollwich Kushner (HWKN) has just released a design research project that applies contemporary construction techniques and designs to famous NYC Art Deco landmarks. Part of their goal is to redesign landmarks so that aren’t just beautiful, but so they have unique personalities and remain relevant over time. Through their research project, called New(er) York, HWKN selected twelve timeless landmarks that represent New York. 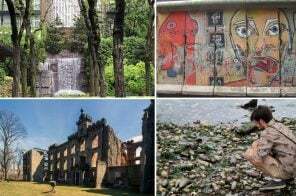 Some of these include iconic structures like the Empire State Building, the Chrysler Building, One Wall Street, the Woolworth Building and the Flatiron. 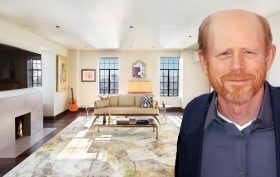 For $12.5 million, you can live in Oscar-winning director Ron Howard’s classic Upper West Side co-op. He and wife Cheryl told the Wall Street Journal that they decided to list the three-bedroom spread at the iconic Eldorado–which they bought in 2004 for $5.575 million–to move farther downtown, closer to Howard’s editing and post-production facilities. Not only does the home occupy the 26th floor of the Art Deco building’s north tower, but it has a private elevator landing, 50 feet of direct Central Park frontage, and a flexible layout perfect for entertaining that the Howards implemented as part of a complete renovation. Inspired by all the talk of Demi Moore listing her San Remo penthouse for a potentially record-breaking $75 million, we found some even more fabulously grand Central Park West, Emery-Roth-designed, graciously pre-war detailed listings at the San Remo’s equally fabulous and celebrity-favored cousin, the El Dorado at 300 Central Park West. The “high” listing is exactly that: Not only a penthouse, but a rare offering that spans two floors of one of the iconic building’s skyline-defining twin towers. And of course there’s the view from your double-decker tower perch, which is the one that really counts. But before you lunge for your wallet (or if you’re thinking you don’t really need the square footage of a small walled city), the “low” listing is in the same famous and fabulous iconic building, and it’s even on a high floor. 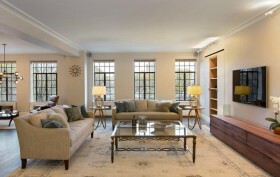 While it’s technically a one-bedroom, it has that classic pre-war co-op’s gracious layout. 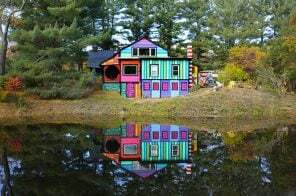 And it’s asking $1.4 million, which, a few caveats aside, sounds astonishingly reasonable. And you still get to be neighbors with Meredith Viera and the lingering spirit of Bruce Willis, Alec Baldwin, Moby, Bono and many more past residents. Bruce Willis is really stepping up his New York real estate game. Just five weeks after buying a $12 million, 22-acre estate in Bedford, New York, he and his wife, actress Emma Heming Willis, have listed their three-bedroom Central Park West co-op at the El Dorado for $13 million. The Daily News reports that the couple is looking to trade up to a bigger unit now that they have a second child. 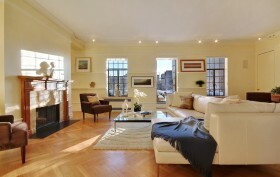 Willis bought the apartment at 300 Central Park West less than two years ago for $8.85 million from U2 bassist Adam Clayton. 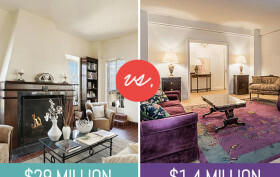 And after a meticulous renovation, he’s looking to make $4 million on the flip.